Speaking of Butterflies – KeaPOD 8 | KeaNeato! White Morpho butterfly. Photo by keagiles. I took this picture while visiting the local Butterfly Pavilion. Good thing too, because these beautiful beasties are only found in some locations in Mexico and South America (as per the Butterfly Pavilion website). 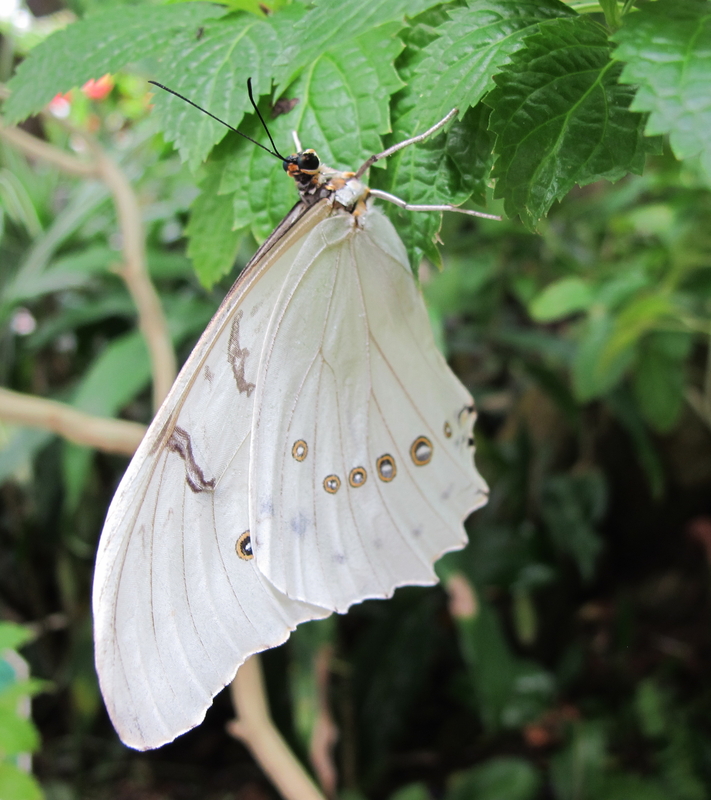 I would try to describe the White Morpho for you, but I found that this site, “Gardens with Wings,” describes them much better than I could. This entry was posted in beautiful, POD (picture of the day) and tagged butterfly, Butterfly Pavilion, Gardens with Wings, photography, white morpho. Bookmark the permalink. Pingback: Green Birdwing Butterfly – KeaPOD 12 | KeaNeato!